Google’s long-rumored Android-Chrome hybrid operating system is expected to debut at the company’s upcoming hardware event on October 4. The company has been working to merge the two OSes for roughly 3 years with a release planned for 2017, but an "early version" to show things off to the world in 2016. The hybrid OS, currently nicknamed ‘Andromeda,’ could be come on a new Pixel laptop as well as Huawei Nexus tablet from Google by Q3 2017, if not sooner, according to new leaks from 9to5Google and Android Police. The laptop, officially codenamed "Bison" and nicknamed "Pixel 3," is a reference to the "Chromebook Pixel," but since this edition is not running Chrome operating system, one can not call it a "Chromebook" anymore. Andromeda is separate from the company’s Fuchsia OS, which is focused on Internet-of-Thing (IoT) devices. 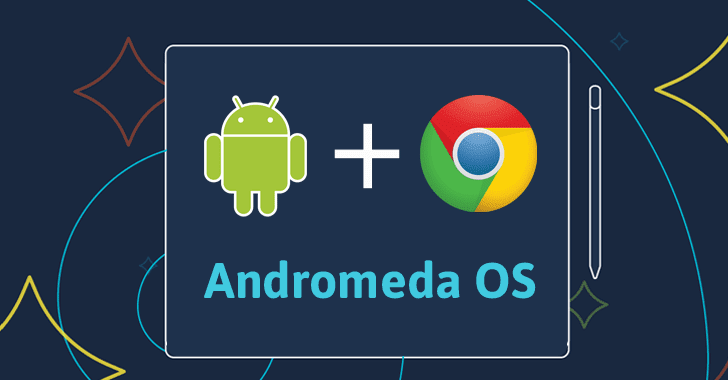 Moreover, the report also makes it clear that Andromeda "is [an entirely] distinct effort from Google’s current campaign to bring Android apps to Chromebooks." So, don’t get confused. Rumored specs suggest Bison is expected to pack a 12.3-inch display with a ‘tablet’ mode and stylus and reportedly powered by an Intel M3 processor like Apple’s 12-inch MacBook, or an Intel Core i5. Bison is expected to have two models with 32GB or 128GB of internal storage, and 8GB or 16GB of RAM. Other features could include two USB-C ports, a 3.5mm headphone jack, a fingerprint scanner, stereo speakers, a backlit keyboard, quad microphones, a glass trackpad, and a battery that lasts around 10 hours. For more details about the new hybrid operating system, you need to wait for two more weeks for Google’s October 4 event that is set to launch a Google’s new hardware product line, including "Google Wi-Fi" router, Google Home, the refreshed 4K-capable Chromecast rumored to be called Chromecast Ultra, and a "Daydream" VR headset.